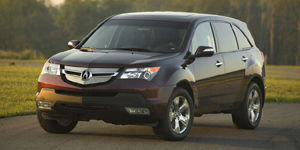 Powered by a 3.7-liter V6, the Acura MDX is among the largest vehicles in its class. 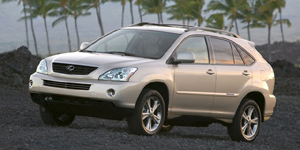 The MDX looks aggressive and sporty, and features seating for up to seven. 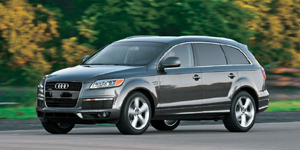 The Audi Q7 comes powered by a choice of V6 and V8 engines and offers seating for up to seven in a spacious and well built cabin. 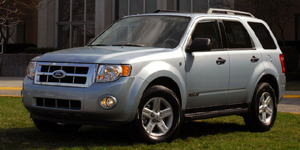 Handling, towing, and off-road capabilities are excellent. Powered by a 6-cylinder engine driving all wheels, the BMW X3 is quick and fast, and almost as fun to drive as a BMW sport wagon. It's roomy, both for passengers and cargo. 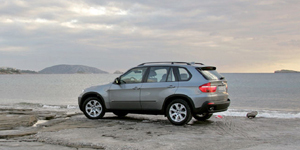 The X6 is what BMW calls a Sport Activity Coupe, an SUV with a sloping roof-line and four seats. 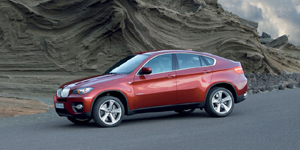 The BMW X6 compensates with sporty looks, great handling, and excellent engines. 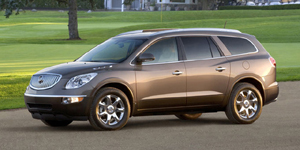 The Buick Enclave seats seven or eight, offers big cargo space, and gets good fuel economy and performance from a modern V6 engine. All-wheel-drive is available. 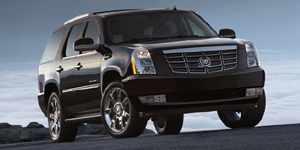 Powered by a strong V8, the Cadillac Escalade comes in three bodystyles. 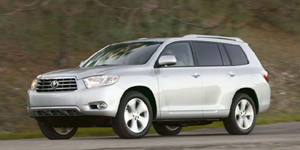 SUV versions offer seating for up to nine, while the EXT seats five. All-wheel-drive is an option. 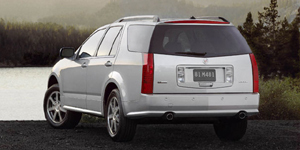 The Cadillac SRX features distinctive styling, a choice of powerful V6 and V8 engines, stable handling, a comfortable ride, and a cabin that seats up to seven. All-wheel-drive is an option. 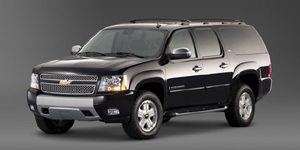 Powered by a choice of V8 engines, the Chevrolet Suburban seats up to nine and tows over 9,000 pounds. All-wheel-drive is available, as is a heavy-duty version. 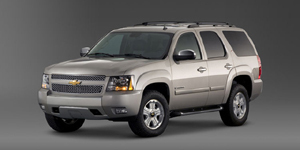 Powered by a choice of V8 engines, the Chevrolet Tahoe seats up to nine and tows over 8,000 pounds. 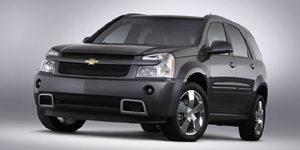 All-wheel-drive is an option and a gas-saving Hybrid version available. Distinguished from other SUVs by its squared-off styling, the V6-powered Dodge Nitro looks and feels larger than its size, with a high seating position and good cabin space. 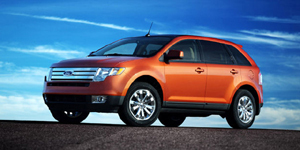 The Ford Edge combines appealing styling with a roomy and comfortable interior, and thanks to optional all-wheel drive and a fully independent suspension, offers good handling. 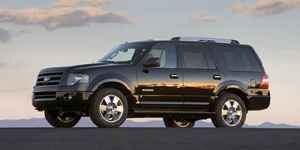 The Ford Expedition is powered by a 5.4-liter V8 and offers seating for up to nine. 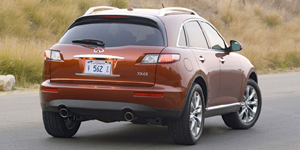 An extended wheelbase version with expanded trunk space is available, as is all-wheel-drive. 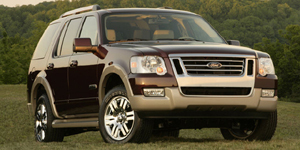 The Ford Explorer comes powered by a choice of V6 and V8 engines with optional all-wheel-drive. 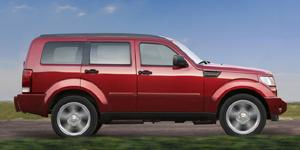 The Explorer offers seating for up to seven, handles well, and offers good safety. 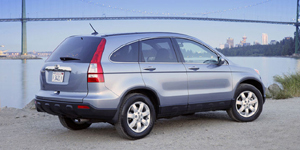 The Honda CR-V comes powered by a 4-cylinder engine only and features optional all-wheel-drive. 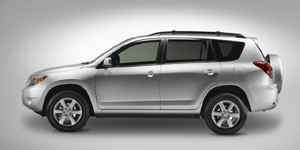 With seating for five, it offers a flexible interior and comprehensive safety equipment. Powered by a choice of six-cylinder engines, the Hyundai Santa Fe combines transparent and secure handling with modern looks and space for up to seven passengers. 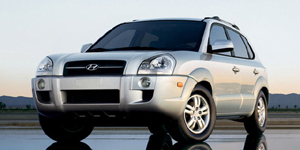 Powered by a choice of 4-cylinder and V6 engines, the Hyundai Tucson comes loaded with comfort and convenience features as well as a full complement of safety features. 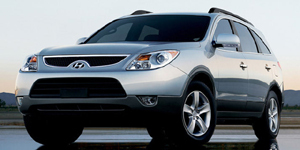 The Hyundai Veracruz hosts up to seven passengers in a comfortable and save environment that includes ABS, ESC, and six airbags. Power comes from a 3.8l 6-cylinder engine. 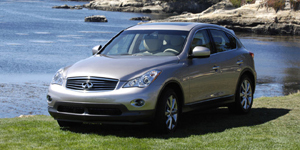 Powered by a 3.5L V6 engine optionally driving all wheels, the Infiniti EX35 is a sporty looking SUV offering responsive handling and a classy interior. 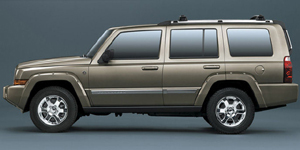 The Jeep Commander can haul up to seven people and offers a wide range of engines, options and prices. On the road, it's far more quick and quiet than its slab-sided styling suggests. 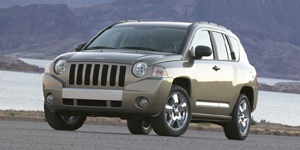 Powered by a choice of 4-cylinder engines, the Compass is not a traditional Jeep with go-anywhere off-road capability, but offers a comfortable ride, steady handling, and high mileage. 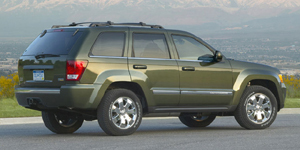 The Jeep Grand Cherokee features muscular styling and comes with a choice of V6 and V8 engines. 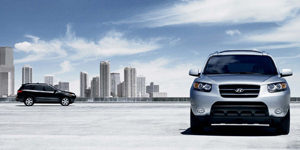 The Grand Cherokee offers save handling and good off-road ability. 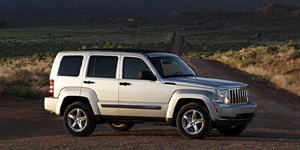 The Jeep Liberty offers good off-road capability, generous cargo space and a high seating position. But it's heavy and lacks the handling and fuel economy of most of its rivals. 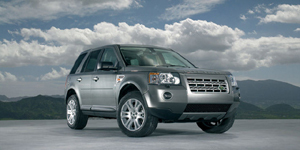 Powered by a smooth inline-6, the LR2 offers excellent off-road capability and stable handling with a comfortable ride, as well as a spacious and well-equipped cabin. 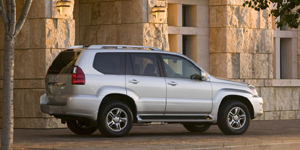 The Lexus GX 470 comes with a powerful 4.7-liter V8 and features a suspension that gives it the ability to go virtually anywhere. 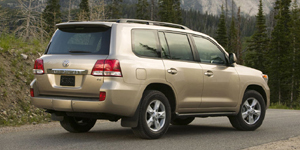 Inside, the Lexus GX 470 is roomy and quiet. Based on the Ford edge, the Lincoln MKX comes powered by a 3.5L V6 engine, offers a smooth ride, and features a roomy and comfortable interior. All-wheel-drive is an option. 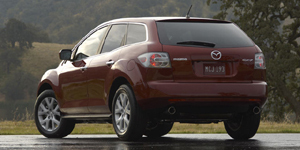 The Mazda CX-7 comes powered by a strong turbocharged 4-cylinder and features sporty styling and handling. The trade-off is less interior room than the top contenders in its class. 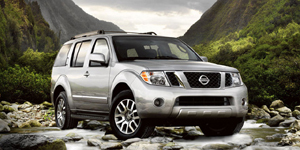 Powered by strong V6 and V8 engines, the boldly styled Pathfinder offers a composed ride and a spacious and accommodating interior with seating for up to seven. 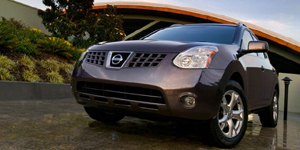 Powered by a 2.5l 4-cylinder, the Nissan Rogue offers seating for five passengers in an upscale and well-equipped interior. Ride and handling is good, if not sports-car like. 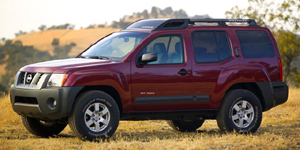 Powered by a strong V6, the Nissan Xterra is the smaller, less-expensive member of Nissan's mid-size, off-road-adventure team. 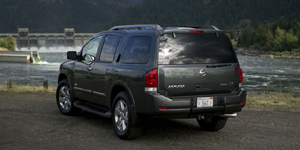 Nissan has kept the Xterra true to its original concept. 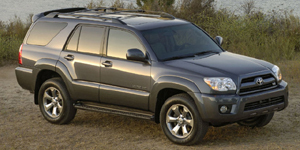 Based on a rugged ladder frame and powered by a choice of V6 and V8 engines, the Toyota 4Runner offers true off-road capability, a spacious and comfortable cabin, and a good ride. 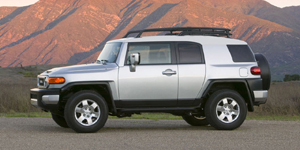 Toyota's most capable off-road SUV, the FJ Cruiser comes powered by a four-liter V6 engine and features seating for five. 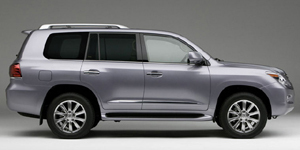 The Land Cruiser is designed to transport people and gear over any kind of surface, in any kind of weather. 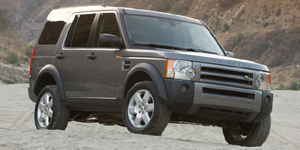 It can tow up to 8,500 pounds and offers comfort and features to rival luxury cars. 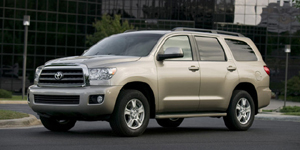 Powered by strong V8 engines, the Toyota Sequoia can tow up to 10,000 pounds and transport eight people, plus cargo in a generous interior. AWD is optional. 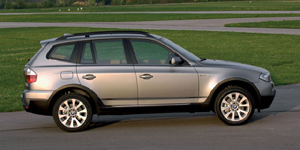 The Volkswagen Touareg offers a rare blend of highway composure, refinement, and off-road capability. The Touareg offers seating for five in a quality interior. A modern diesel is available.